With the popularity of Israeli cuisine, the Jewish foods of Yemen, Ethiopia and Egypt are becoming more and more well-known. Buzzy ingredients like hawaij, turmeric and the fruity liquor called arak have made their way into North American cupboards. The history of food in this region is celebrated and explored here. In these desert-like regions, Jewish cooking was shaped by the hot, arid climate and trade with India. Turmeric, curry powder and fenugreek are all prominently used in soups and stews of the region. Cool, refreshing vegetable salads that combated the desert heat became common fare in Jewish Egyptian communities. 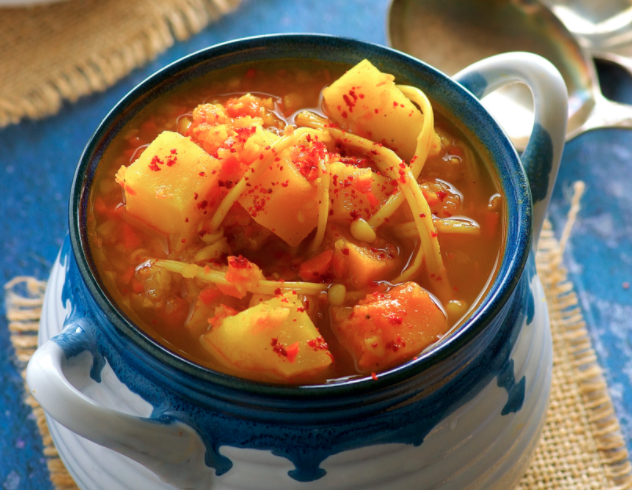 The enveloping aroma of cumin, turmeric, coriander and black pepper just screams comfort food. Where to get the best Persian stews, Israeli falafel, Uzbekistani plov (pilaf), and shakshuka in every nook and cranny of NYC. This perfect brunch dish brings Jewish-American flavors to a sweet and buttery Yemenite bread.